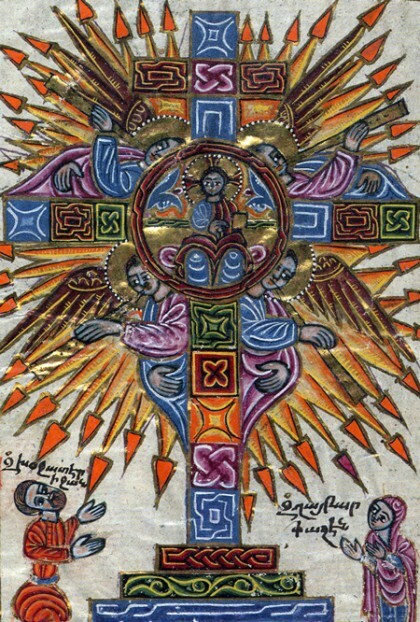 Pope Francis has blessed the Church by bestowing the honor of Doctor to St. Gregory of Narek. This Armenian monk and priest is much beloved by the Armenian people and second only to St. Vartan in popularity. His hymns can be found in the many services of the Armenian Rite, and his commentary on the Song of the Songs and his Book of Lamentations are both a treasury of teaching and contemplative wisdom. St. Gregory lived most of his life at the monastery at Narek in Armenia. There he devoted much of his time to prayer and writing. St. Gregory did make several pilgrimages throughout the near east. It was on those journeys, that St. Gregory is said to have worked many miracles and counseled many people. At the beginning of the Book of Lamentations, St. Gregory offers these words: "The voice of a sighing heart, its sobs and mournful cries, I offer up to you, O Seer of Secrets, placing the fruits of my wavering mind as a savory sacrifice on the fire of my grieving soul to be delivered to you in the censer of my will." This reflection on his life becomes a sort of prayer of contemplation and repentance. Throughout his work, St .Gregory counsels his reader, that if he wants to truly pray, he should join his own prayer with the psalms. They are a guide to Christians, teaching souls both new and old, how and what to pray. 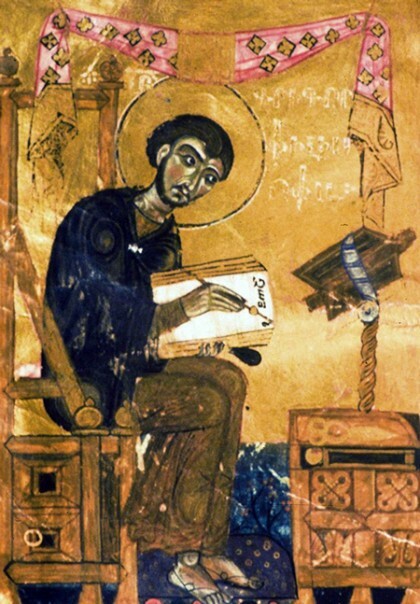 St . Gregory though a wise old monk in the eyes of the world, bridles his prayers to the Psalter. How much more should we? In one of his lamentations St. Gregory says we should "daily seek the comfort of the familiar scolding voice of the Psalms" to "expose our guilty souls to the prosecuting voice of God". Sometimes we need to be reminded of our failings in order to start that turn back toward God. Many of us are unaware that we are in the pig pen like the prodigal before he realized his state and sought his father's house. The psalms, particularly 51 help us to remember that we are constantly wavering in our committment to living The Way. By joining our prayer to the Psalmist's, we enter into the daily work of examination and repentance, which over time produces a vigilant mind and a humble heart. The psalms teach us according to St. Gregory not to utter profusely and vainly, but to be attentive to our words in prayer: "But so that I do not become tedious and long-winded, let me compress my words, words I say echoing the blessed David in his inspired voice, “I seek you with all my heart.” The psalms also teach us how our prayer should be, not only in disposition but in length. There are many Christians who believe that the longer the paryer, the more verbose a prayer, the better it is. Remember the tax-collector was reconciled to God with only a single phrase, "God have mercy on me the sinner" (Luke 18:13). Each and every word the Psalmist utters is carefully chosen. Let us therefore be mindful of the words we give to God, because more is not always better, and Christ says "I tell you that everyone will have to give account on the day of judgment for every empty word they have spoken" (Matthew 12:36). St. Gregory likens the psalms to the Cross saying they "promise restoration for the righteous" and are "an assurance of salvation that triumphs over demons and the doubts of the devil." They are the "songs of everything for the pure in heart: a testament of life, written for all people." Like the Cross, Psalm 18 is a song of joy. We can see the seeds of Christ's victory in the words of the psalmist, whose joy is in the omnipotence and mercy of God. "The danger of death was all around me; the waves of destruction rolled over me. The danger of death was around me, and the grave set its trap for me. In my trouble I called to the Lord; I called to my God for help. In his temple he heard my voice; he listened to my cry for help" (Psalm 18:4-6). Not only are prayers petitionary, but they are also hymns of thanksgiving, and songs of worship and exaltation. So often our personal prayers remain as petitions and intercessions. We become stuck with asking God for this or that, for either ourselves or one another. We shouldn't abandon this, Christ Himself says "whatever you ask in prayer, believe that you have recieved it, and it will be yours" (Mark 11:24). However, because it is difficult to leave our desires aside, it is all the more necessary that we should enjoin our prayer with the Psalmist, so that we do not forget that we are called to offer in confidence and joy, praise to the God who answered the prayers of Israel and is the source of all that is good. So when we pray with the psalms, let our voice be joined with that of the Psalmist, in his desperation, his woes, his sighs, but also his joy, his praises, and his peace. So pray the psalms, and they will teach you the words you need to say before the Ineffable God. A Blessed Lent! Glory to God in His Saints!